The SUMO Group is pleased to announce the launch of the SUMO Sapien Global Fintech and Innovation Fund, a joint venture VC fund in collaboration with Sapien Ventures. 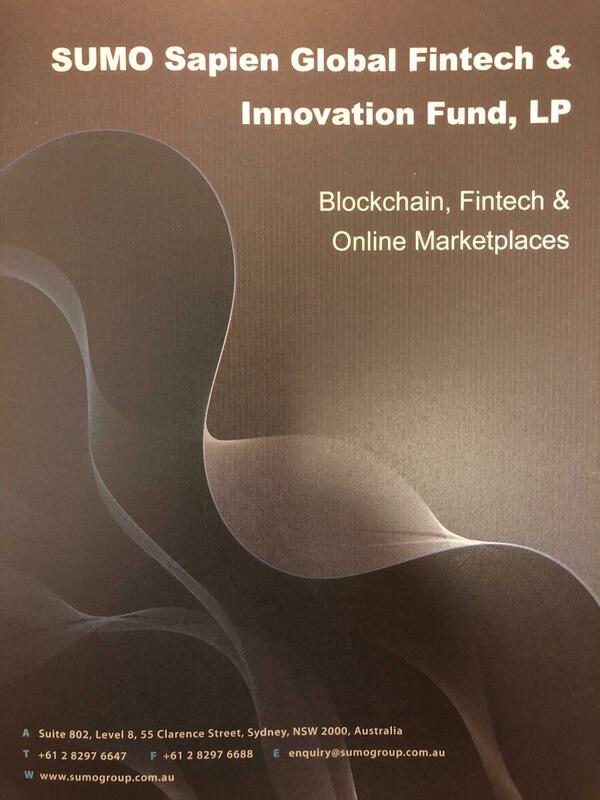 The Fund’s primary focus is in fintech and blockchain ventures, online market places, and enterprise software. Its proposed investees include HashChing, Studylane, Civic Ledger, Linqto, and Alpha Vista.